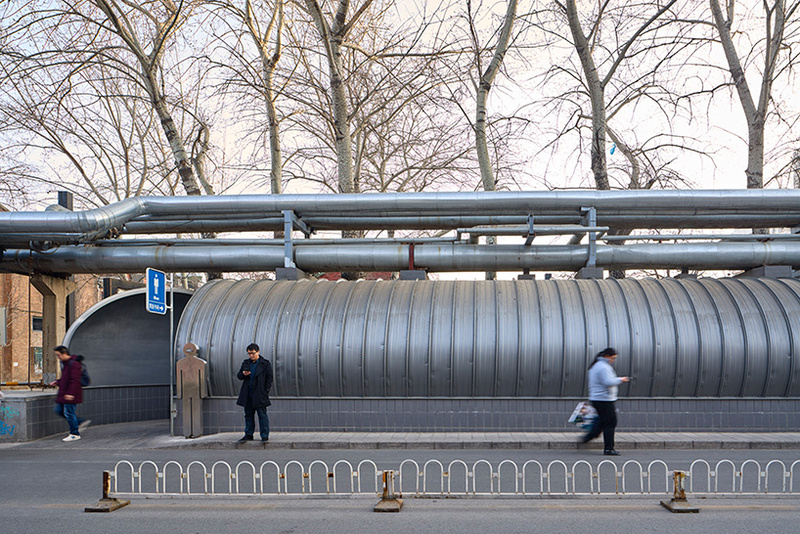 before its evolution into a more open economy, china’s state-owned factories were identified by number. 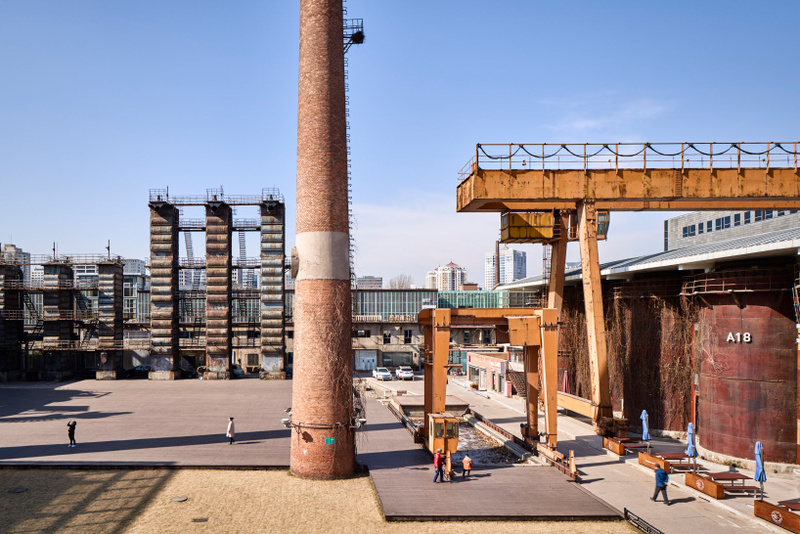 in beijing, factory 798 once produced weapons components, but today — thanks to a boston- and shanghai-based design firm and a belgian philanthropist — the building stands at the epicenter of the country’s emerging art community. to celebrate the project, which has been thriving for over a decade, we take a fresh look at the 798 arts district through the lens of architectural photographer edward caruso. see the new images and read more about the ambitious development below. 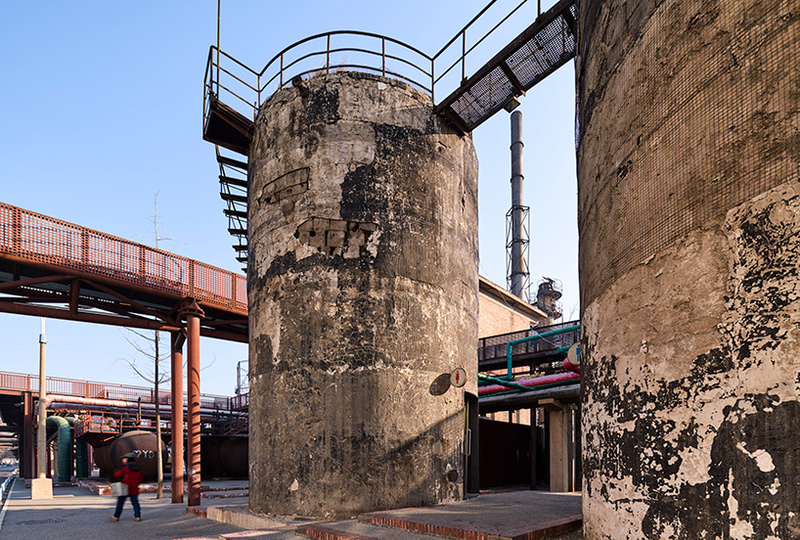 when production at factory 798 (one of several structures inside a complex formerly known as ‘joint factory 718’), ceased in the late 1980s and early 1990s, the site became a haven for budding artists who began occupying the disused buildings. in 2004, with the government considering the buildings a low density waste of space, the complex faced demolition. 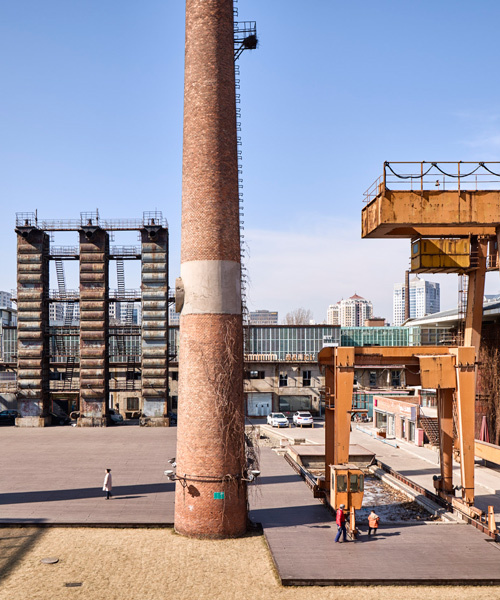 it was then that sasaki, a global design firm with offices in the US and china, joined forces with guy ullens, a belgian philanthropist who owns one of the world’s largest collections of contemporary chinese art, and urbis development to outline a new vision for the site. 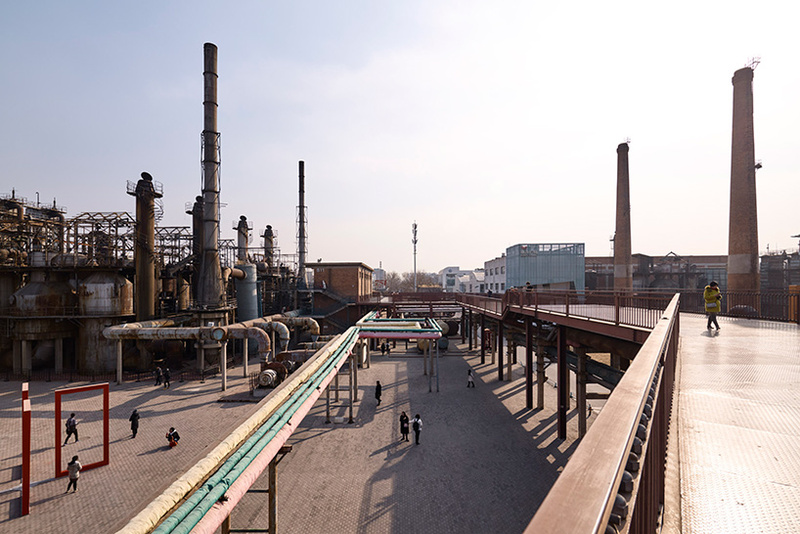 ‘although these factory buildings are what give the district its unique architectural aesthetic, beijing is a metropolis that values its blend of rich ancient history and contemporary architecture, but tends to ignore its mid-century industrialism,’ says sasaki, whose subsequent masterplan sought to solidify the venue’s role as a major force in china’s arts scene. the scheme sought to emphasize the district’s bohemian style, while integrating its unique architectural and industrial elements. 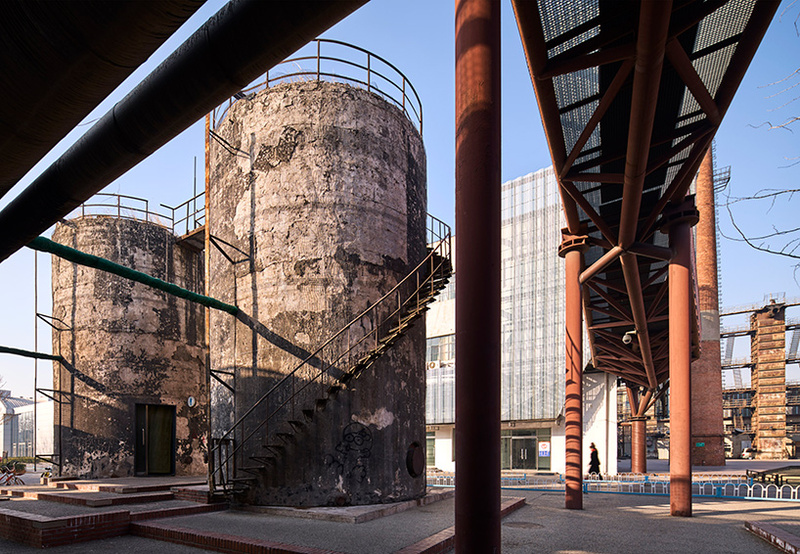 as the plans became reality, abandoned factory buildings were transformed into new museums and galleries, while fallow fields and hidden courtyards reemerged as settings for outdoor sculpture and fashion shows. 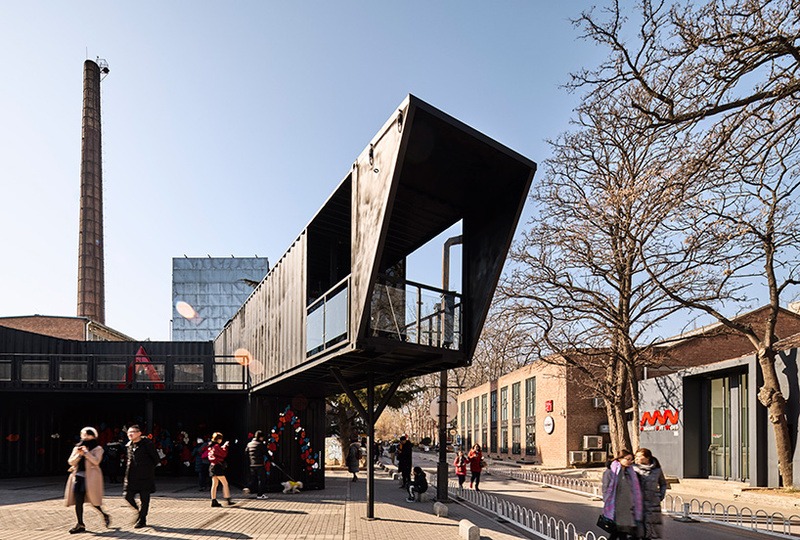 what began as a small collection of studios and offices has now evolved into the one of the most popular destinations in beijing, with only the forbidden city and the great wall attracting more visitors. as the site faced continual pressure from the fast-paced growth of adjacent development, preserving its character and spirit while infusing it with revenue-generating programs was an important part of the masterplan. the vision outlined by sasaki was based around four key concepts. 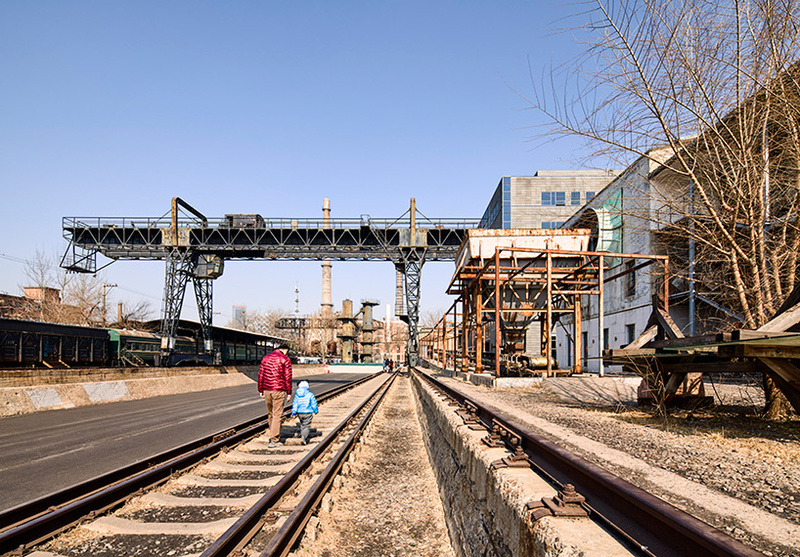 the development: emphasizes the arts as a central theme; retains the essential qualities of the historic industrial aesthetic; develops strategies to make the district more visible and connected to the city; and encourages a wide variety of arts-related and contemporary uses. 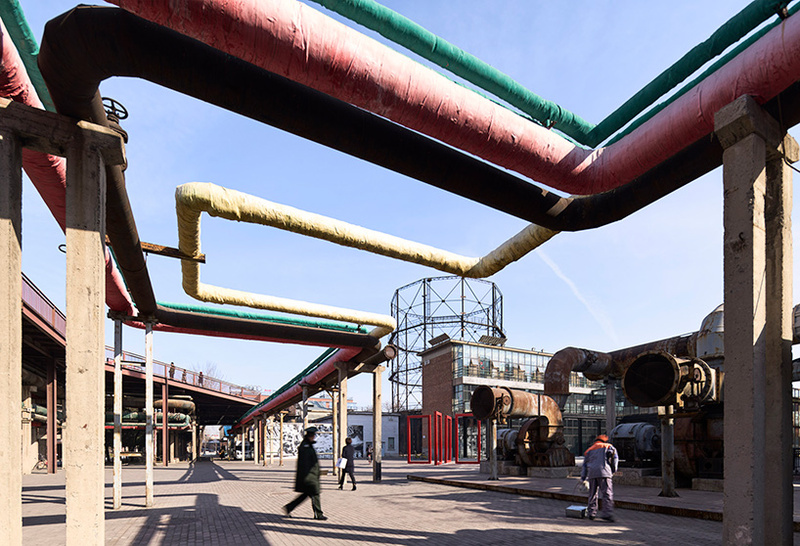 rather than a series of static museums and galleries, the integration of creative industries, such as media, advertising, and software design, hopes to create an evolving district that will regenerate with new ideas and opportunities. 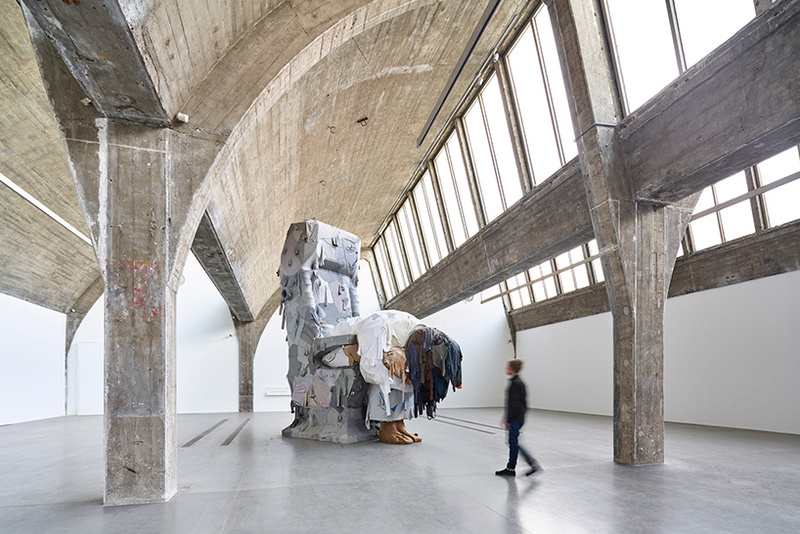 a major museum at the center of the plan — the ullens center for contemporary art — is joined by a diverse mix of programming, including theaters, hotels, and conference facilities. meanwhile, new parks and plazas are capable of hosting outdoor performances and sculptural displays. 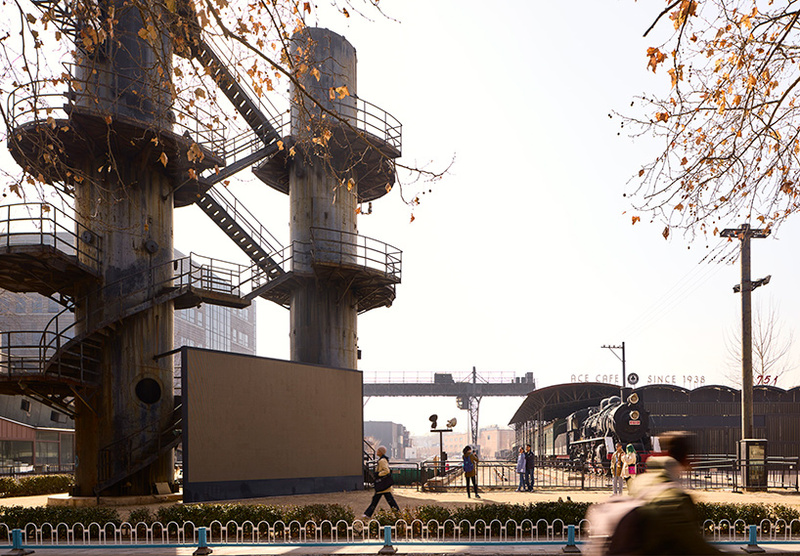 other relics of the industrial site, including a gasworks, railroad, and overhead cranes, have been preserved, while the site’s narrow streets and alleyways form pedestrian-centric courtyards and passageways that protect the district from beijing’s heavy traffic. 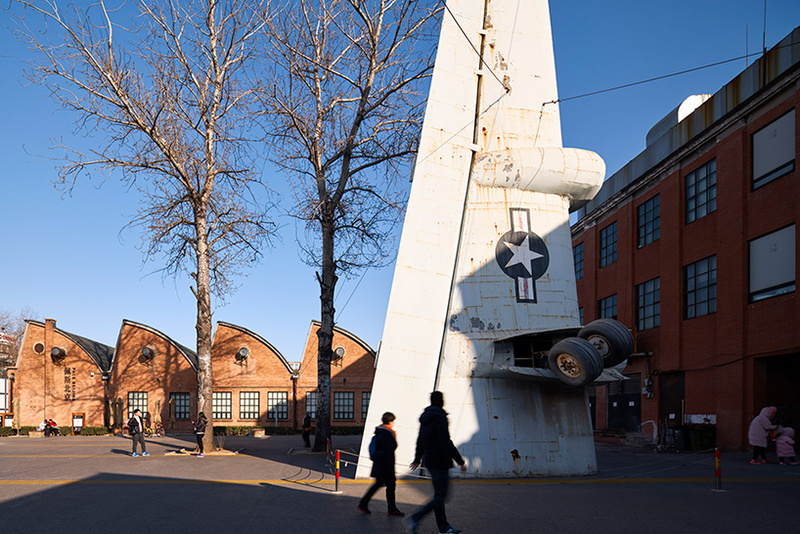 now forming one of the world’s most important cultural districts, beijing’s 798 arts district continues to evolve, regularly hosting major exhibitions by leading local and international forces. edward caruso is an architecture and landscape photographer based in new york and tokyo. see more images of the 798 arts district, as well as a host of other projects, on his recently relaunched website here.